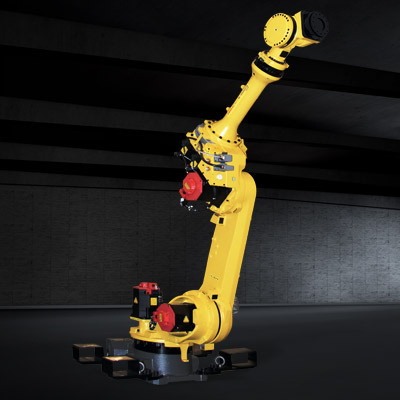 This 6 axis robot has the inherent flexibility to complete any number of challenging jobs. 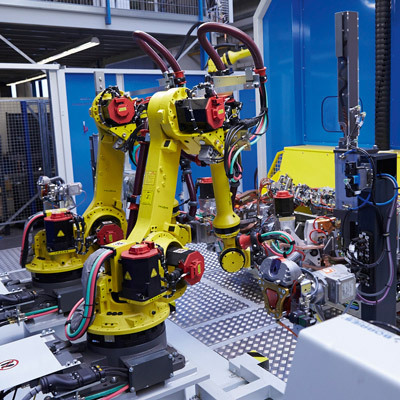 Very fast and capable of realising excellent cycle times, it is particularly suited to a wide range of high-speed spot welding applications. Compact and lightweight, it also saves you space. 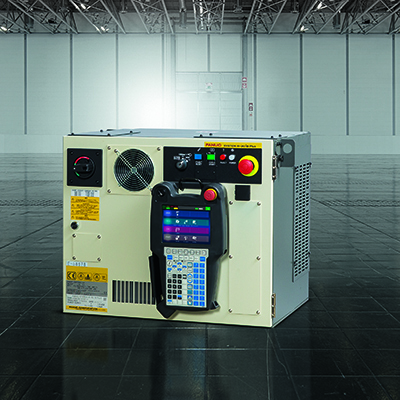 Maximize the productivity of your applications with payloads of up to 100 kg. 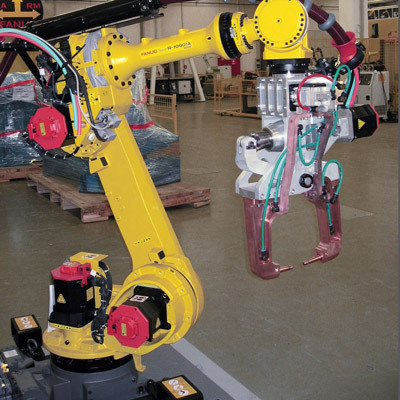 This model requires minimal maintenance and is extremely cost-effective when installing and operating it. 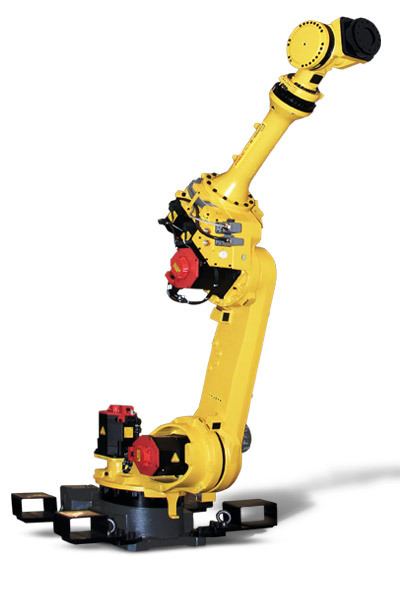 This model is in favor of greater versatility – it can be mounted both on the ground as well as in a hanging position. 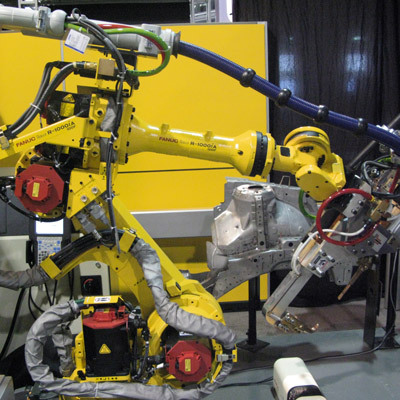 Interested in seeing more welding machines? 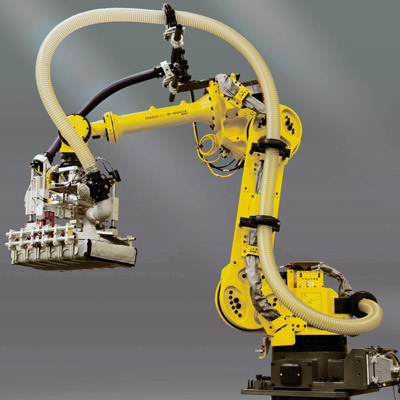 Discover the FANUC ARC welding robots. 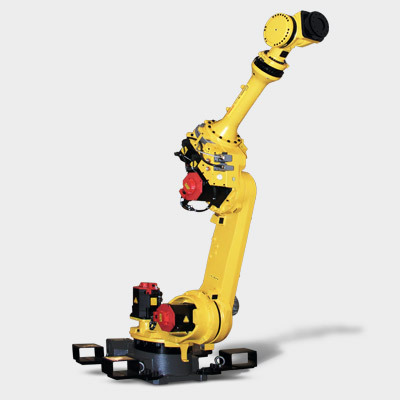 Visit the stronger version of this robot, which belongs to the R-2000 series.